A guest post by Saad. North America is not famous for its castles, and castles with links to Royalty are almost unheard of. However, Hatley Castle is just that, with links to multiple generations of the British Royal Family, the castle and its grounds have played a significant role in politics of the Canadian Province of British Columbia, and has been featured in many famous movies. Built in 1908 for British Columbia’s Lieutenant Governor James Dunsmuir by renowned Canadian architect Samuel Maclure just outside of Victoria, the capital of British Columbia, Hatley Castle is a 40-room mansion built in the Scottish Baronial style, situated on a 229 hectare estate on the edge of Esquimalt Lagoon. The stunning park was designed by American designers and features Japanese, Rose and Italian gardens. After being bought to the Canadian Government, some of the land was sold, and in June 1939, 927 lots of the Castle’s contents were sold at public auction. James Dunsmuir was a British Columbian industrialist and politician, heir to a coal mining fortune, and a leading force in the Province’s economy and politics. Born just eight days after his parents arrived in Canada from Scotland, his father died the richest man in British Columbia, leaving him in sole control of an empire estimated to be worth $15 million ($400 million today). He is quoted as saying “Money doesn’t matter, just build what I want.” Another family home was Craigdarroch Castle, built by his parents, and one of Victoria’s leading tourist attractions today. James Dunsmuir was the Premier of British Columbia, the head of the Provincial Government, from 1900 to 1902, and the Lieutenant Governor, representative of the British Monarch in the Province, from 1906 to 1909. James’s sisters married members of the British Gentry and one of his daughters married the famed couturier Edward Molyneux. The Dunsmuir Family and Hatley Castle also had numerous connections to the British Royal Family. In 1901, while on Tour of Canada, the Duke and Duchess of Cornwall and York (later King George V and Queen Mary) spent an afternoon with the Dunsmuir family at their home at the time. In 1919, their son the Prince of Wales (later King Edward VIII and then the infamous Duke of Windsor), stayed with James and his wife, Laura, at Hatley Castle. He got time to play some golf at James’ club in Colwood and enjoyed himself so much that he later became patron of the Colwood Golf Club. During the Royal Tour of Canada in 1939, King George VI and Queen Elizabeth (now known as the Queen Mother) spent a couple of hours picnicking on sandwiches, scones and Thermoses of tea on the lawn of Hatley Park, which was bought later that year by the Canadian Government. An account reported; "After tea the King and Queen went for a long walk through the estate, visiting the Japanese garden displaying iris and wistaria, and the glen where a little stream runs through patches of wild flowers." During WWII, Hatley Castle was planned to be used as the Royal Residence in Canada in case the Nazi invasion of the UK succeeded. When asked to send Princess (now Queen) Elizabeth and Princess Margaret to Canada for their safety during the war, Queen Elizabeth (known as Queen Mother) famously replied: "The princesses cannot go without me. I cannot go without the king. And the king will never leave." According to the diaries of then Canadian Prime Minister, William Lyon Mackenzie King, Hatley Castle was also considered as a residence for the Duke and Duchess of Windsor, who were stirring too much trouble in Europe. However, both plans didn't come to fruition, as the Nazi invasion of the UK was unsuccessful and the Windsors were instead posted to the Bahamas. From the late 1940s, the Castle was used as a naval training facility, known as the Royal Roads Military College, which operated until 1995, when it was leased to Royal Roads University for $1 per year. The university manages all stewardship responsibilities related to the site, including site management, operations, heritage preservation and restoration, and educating the public about the site's history and natural resources. Despite the fact that plans for Hatley Castle to be a Royal residence failed, members of the British Royal Family continued to visit the site. In 1951, then Princess Elizabeth and the Duke of Edinburgh inspected cadets on a visit to then Military College, returning as Queen in 1983. Other royal visitors include Princess Margaret, Princess Mary, Countess of Harewood, and the current Prince of Wales. 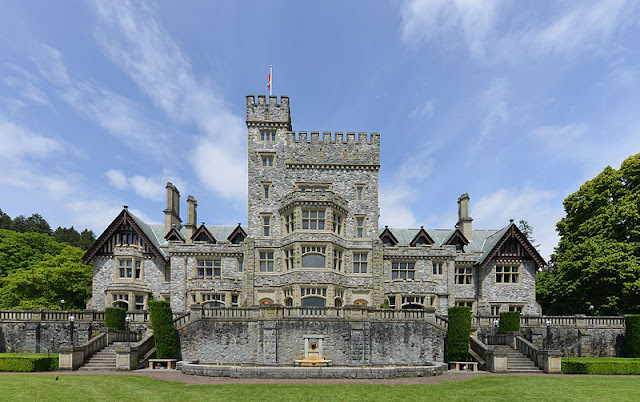 In recent years, Hatley Castle has been used in film and TV, appearing as Professor Xavier's School for Gifted Youngsters in the X-Men film series, Queen Mansion in the Arrow TV series, Auradon Prep in the Disney movie Descendants, and Luthor Mansion in the Smallville television series among many others. 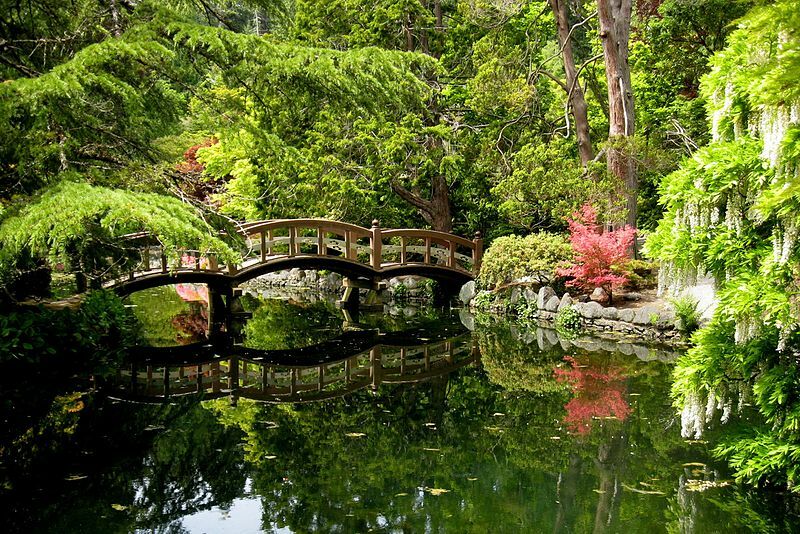 I first visited Hatley Park in 2011, soon after moving to Victoria, falling in love with the gardens. Over the years, my family have had many picnics and barbecues in the grounds, and despite having visited over two dozen times, I have never gotten a chance to go an the guided tour of the castle. It is one of my favourite buildings in Victoria, and a must see for any visitors. Hatley Castle is open at 11:45 am and 2:45 pm for guided tours on Saturday, Sunday, and Statutory Holidays. Tickets start at $18.50 for Adults and $10.90 for Children (6-17). Guided tours of the estate are available a couple of times daily at the same price. Self-guided tours of the gardens start at $9.75 for Adults and $6.75 for Children (6-17). The Hatley Park museum, in the basement of the castle, is open every day from 10:15 a.m. to 3:00 p.m. Admission is free. Donations are welcome, and guided tours are available. Saad Salman was born in Pakistan and has lived in Canada for the last 10 years. He is in the last year of High School and plans to study History of Art and International Relations starting in Fall 2017. Obsessed with Royalty from an early age, he started his own Royal Blog, The Royal Watcher, just over a year ago, where Saad writes about current royal events, tiaras, and grand royal events of yore. You can also find him on Twitter.